Cut the ends off the sprouts, pull off any bad leaves, rinse and cut in half. Heat the olive oil in a frying pan, add the sprouts and garlic. Roast over medium heat for 15 minutes until golden brown, stirring from time to time. 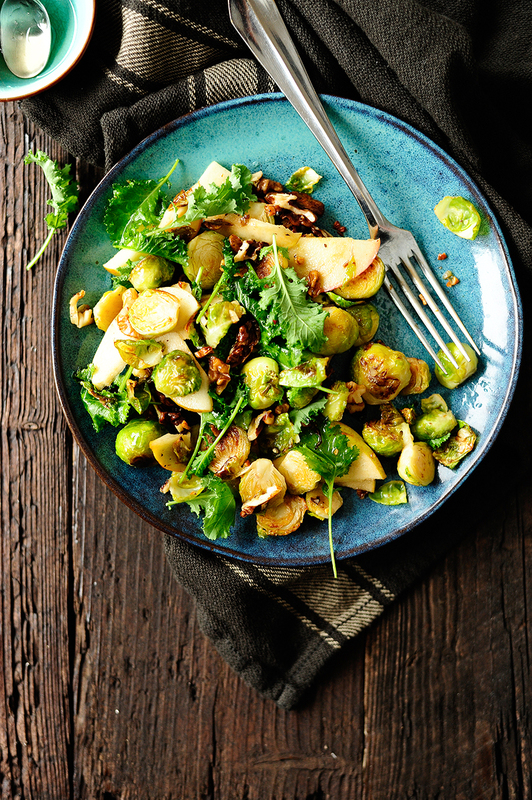 Cut the apple into thin slices, add to the Brussels sprouts together with walnuts and Sichuan pepper. Season with salt and pepper and simmer for another 3 minutes. 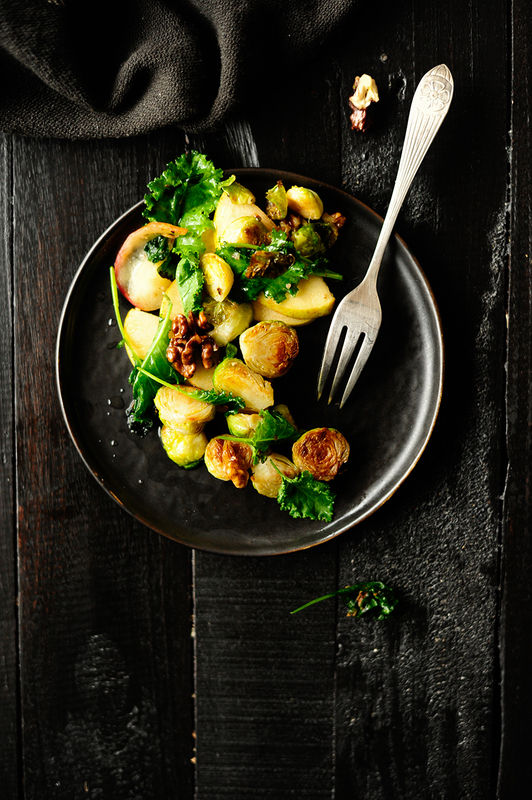 Serve warm with kale and topped with the vinaigrette. Enjoy!